Parents or adults affiliated with tournament attendees may submit designs, but preference for designs will be given to NSWRS-rated players and their siblings (and the award remains the same)! 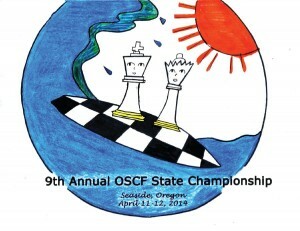 All entries will become property of OSCF and will not be returned. 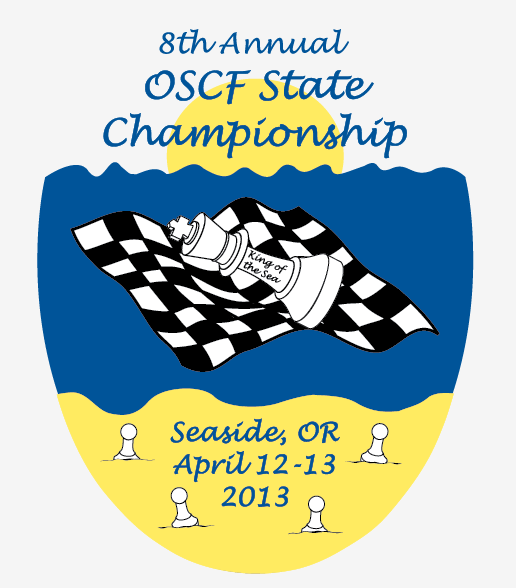 The design must contain three phrases: 1) “11th Annual OSCF State Chess Championship” or (if the chess theme is obvious) “11th Annual OSCF State Championship”, 2) “April 29-30, 2016”, and 3) “Seaside, Oregon”. 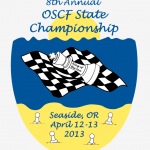 Deadline: Noon on March 15, 2015.